Group 1: 6 BLUE LED stand for bands. Group 2: 8 RED LED stand for channels. Please wiring the Video in to the Video out if you don't use the OSD feature. 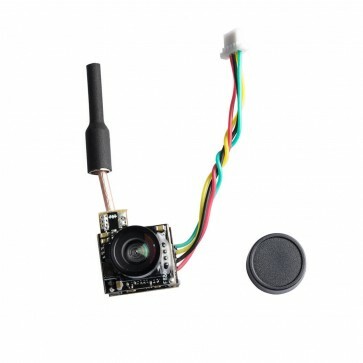 Best Cam&Vtx AIO for a beecore flightcontroller with OSDReview by S.
I use this camera on a EO11 quad and whoov flashed with Silverware. And I also use it on a indoor wing. 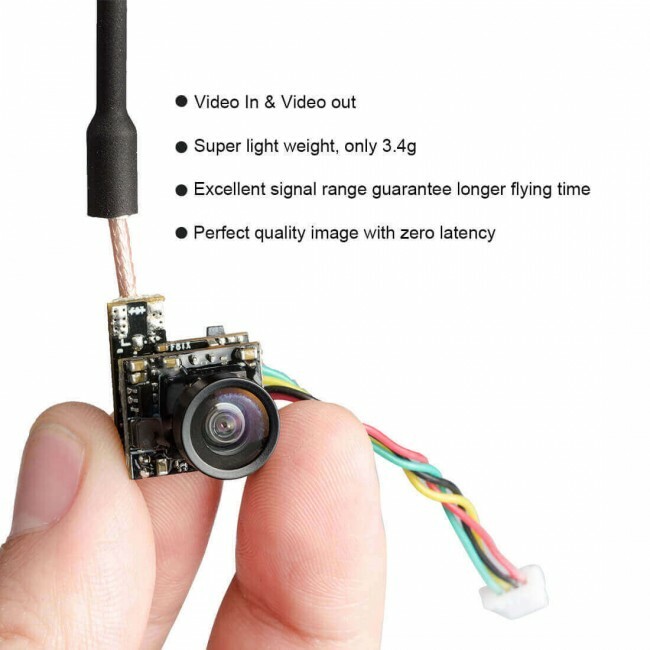 The BS2 is one of the best micro/nano Cam&Vtx AIO I have and just ordered an other one. It can withstand quite some crashes so the BS2 is very sturdy. I ordered also some spare antennas with it but haven't used any of it. It's soldered very nice on the VTX. I mainly flew the EO11 with the BS2 indoor so I can't say much about the switching time from dark to light conditions with sunlight. I flew a couple of times from dark to light rooms and vice versa and I noticed the it switched quickly enough. But most importantly the VTX is very nice. I got very good reception and the channel frequencies are accurate as far as I can judge it with my VRD2 and FS Transformer goggles. 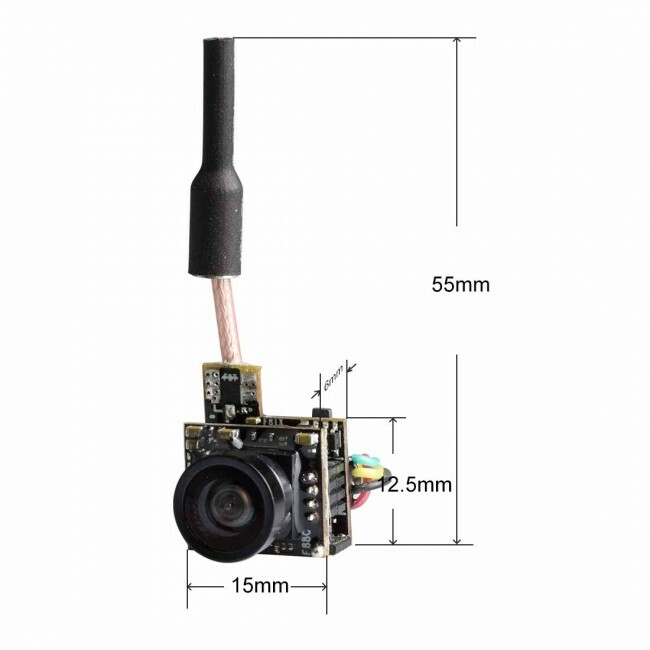 All in all a very nice AIO for a brushed micro quad or micro indoor wing. The BS2 is a must have for every FPV micro aircraft!